Using a VPN (Virtual Private Network) can be both a blessing and a curse. It’s a trade-off between all the positives of a VPN, such as online security and the ability to access geo-restricted content, and seriously compromising internet speed. Issues with VPN connection speeds are commonplace. People often ask, Is it possible to increase my VPN connection speeds? Before you start tearing out your hair, try these 5 strategies to increase your VPN connection speed. The strategies are listed in chronological order. Therefore, if the first strategy doesn’t work, try the next until you’ve exhausted them all. At least 90% of the time, at least one of them should work. 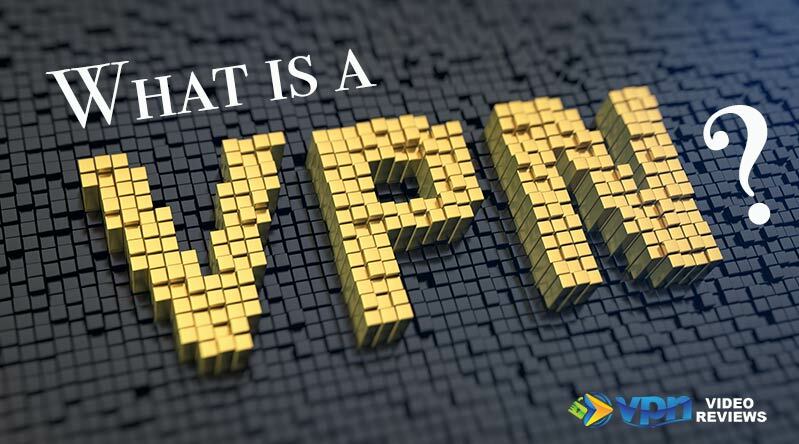 First, it is important to understand the two primary components of VPN connection speeds before exploring the issues that affect these components. Throughput: This is the amount of data that can be transferred in a specific amount of time. Latency: This is the amount of time between sending a request and receiving a response from a server you’re trying to access. Some of the strategies explored in this article address one or both of these components. Watch the video below or scroll down to read through these tips. Get weekly online security tips when you subscribe to AllThingsSecured on YouTube! It takes more time for a server to connect with your device if that server is geographically located far away. Always choose a server in your VPN software that is as close as possible to your location. Most of the popular VPN services such as ExpressVPN or NordVPN have a selection tool that automatically chooses the closest server. For instance, if you’re attempting to connect from New York, you don’t want to use a VPN server that is all the way in Australia. It may seem trivial, but this small change can make a big difference in your connection speeds. 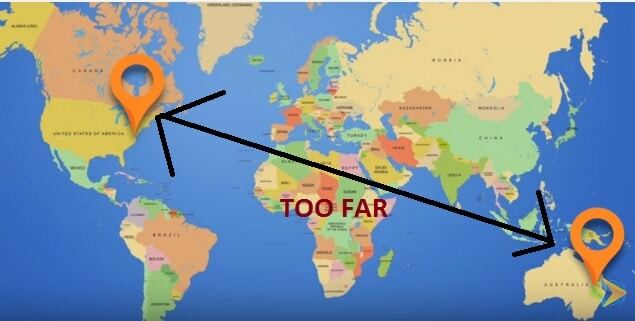 A server in a different geographical location should only be used if you’re trying to spoof your location to a specific country. For example, you’re wanting to watch Netflix while traveling around China, you’ll have to connect to a VPN server in America. Always remember that the further the distance between the VPN sever and your device, the slower the VPN connection speed. Data is transmitted in packets. More packets are lost over longer distances. Data has to travel over several networks before it reaches its intended destination. A longer distance means that there are more networks to pass through. This, in turn, affects your latency. Finally, there are international bandwidth limitations. The data cables that cross international boundaries can only transmit a finite amount of data. Therefore, if there is too much data to transmit, latency is going to increase. This results in reduced speeds. Better VPN connection protocols use higher bit encryptions. Although these encryptions guarantee a greater level of security, they considerably lower internet speed. Many of the best VPN providers will provide you with connection protocols to choose from. Better VPN connection speeds are possible with less-secure connection protocols. The lowest connection protocol possible is PPTP which is, of course, the least secure. For a deeper explanation, check out my explanation of various VPN connection protocols on this website. If the first two strategies don’t work, the problem could be your Wi-Fi connection. Your VPN won’t be able to perform optimally if your Wi-Fi signal is weak. Consider using an Ethernet cable if Ethernet ports are available. You can also try moving closer to your Wi-Fi router. If the problem persists, consider upgrading your Wi-Fi with your Internet Service Provider (ISP). Bandwidth is one of the most crucial factors affecting internet speed. Bandwidth is essentially the amount of data that can be transmitted through your internet router. For instance, a bandwidth of 10 MBPS would mean that you can receive up to 10 megabits per second. Some ISPs deliberately slow down certain types of internet traffic (which is called “throttling”) while others slow down connections if too much data is downloaded in one month. They do this by limiting your bandwidth. You can perform tests to determine if your ISP is slowing down or throttling your internet connection. A typical test is monitoring your internet speed variations at both the beginning and end of each month. An ISP may limit your bandwidth towards the end of the month if it notices you’ve used a large amount of data. However, you won’t be able to pinpoint the difference unless you make a deliberate attempt to track the changes. Your computer’s security software can also affect your internet speed. This software typically runs in the background to detect virus threats and provide other security features for your device. Reduce the software’s usage of your internet connection by unchecking the auto-update, sync and backup options. Try to execute these things manually. 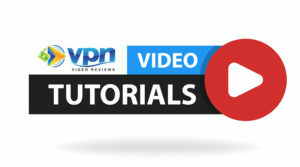 I highly recommend subscribing to at least 2 VPN service providers (personally, I use and recommend both ExpressVPN and NordVPN among a few others). One will be used as your main VPN provider and the other will be used as a backup. There are times when a VPN server is overloaded due to a high volume of traffic. 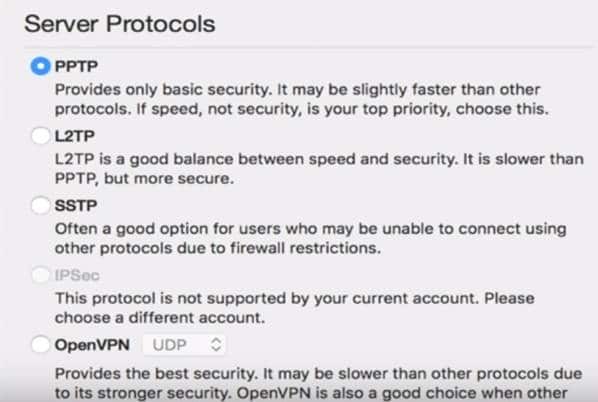 Additionally, there are some VPNs that limit bandwidth and throttle speeds (I don’t recommend using these, though). Having a backup VPN helps you circumvent these issues. 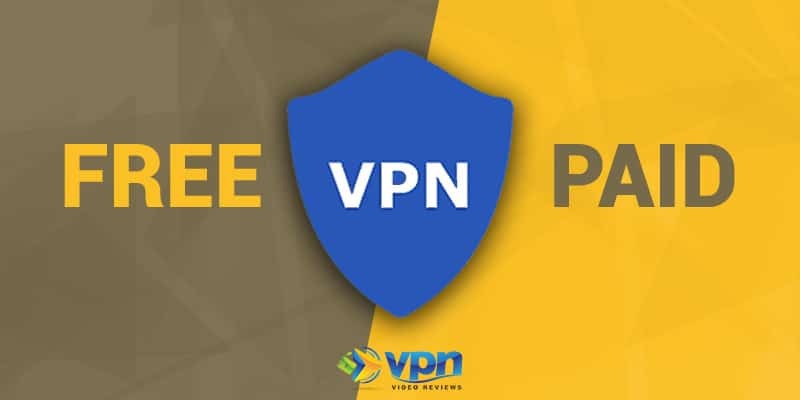 Note: Avoid free VPN providers (read more about free VPNs vs paid VPNs here). They naturally have more users than paid VPN providers and are not secure. A saturated VPN will have lower connection speeds since too many people will be trying to use the servers simultaneously. It doesn’t matter the number of servers the free VPN has, there will still be too many users. 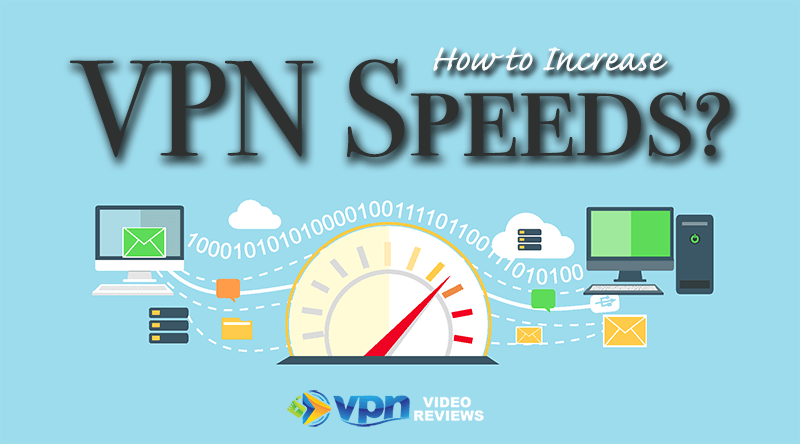 As you can tell with each of these strategies, increasing your VPN connection speed is really a trial and error process. The solution could be as simple as closing the program you’re using and rebooting your device. Rebooting solves issues with the operating system either not connecting properly or improperly overriding a connection. Your device just needs the opportunity to carry out a fresh batch of programming instructions. Latency and throughput are two crucial components of VPN connection speeds. 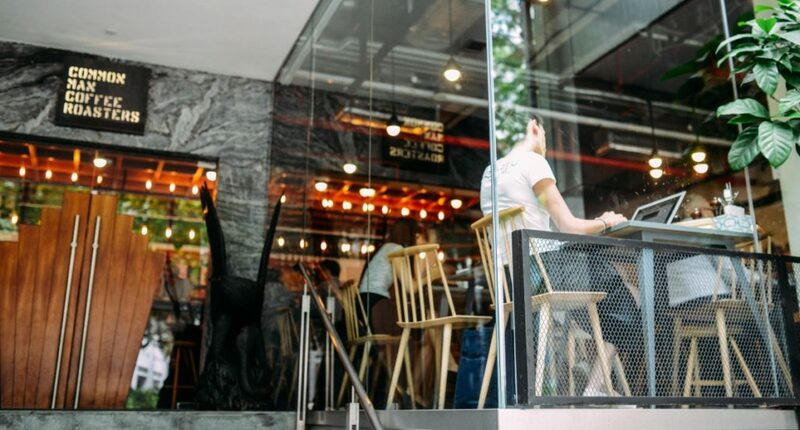 Addressing issues related to these components can substantially increase your VPN connection speed. The first two strategies outlined in this article speak specifically to these components. If those strategies fail, attempt one of the remaining three. Even if you feel it is cumbersome to follow any of these strategies, I would suggest it’s worth trying. Do you have any other tips for increasing your VPN connection speeds? Let us know in the comment section below. Thank you for saying that free VPN should be avoided because they’re not secure and they’d tend to be slow due to many users. It’s always nice to get dedicated internet service for the best online experience. It’s planning to have a fiber internet connected at Mom and Dad’s place so they’d have a great time working on their smartphones. Best VPN | What are the Best VPNs to Use in 2019?